Owls sweater: My first knitted garment! 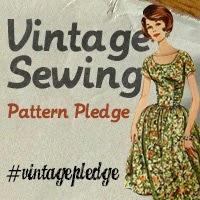 I felt really excited about sewing during Me-Made-May but somehow my sewjo has really collapsed in the past fortnight. I think it’s down to a combination of having difficulty finding the right fabric for the projects I want to work on and feeling a tad overwhelmed by all the sewing events I want to take part in, but don’t have time to. BUT I am happily back into knitting! After some hiccups on that front, I’ve regained knitting confidence through the Owls sweater knit-along organised by Kat of A Krafty Kat and Sabs of Tybalt: King of Cats. I’ve had the Kate Davies pattern on standby for, literally, years but never tried it. Knitting is so much more of a commitment for me than sewing (and it’s much harder to modify the fit as you work) so I think I’ve been unnecessarily cautious about picking knitting patterns to try. I used Debbie Bliss Rialto Chunky in Ruby (bought from This Is Knit in Dublin) and love the colour and softness of this merino wool. 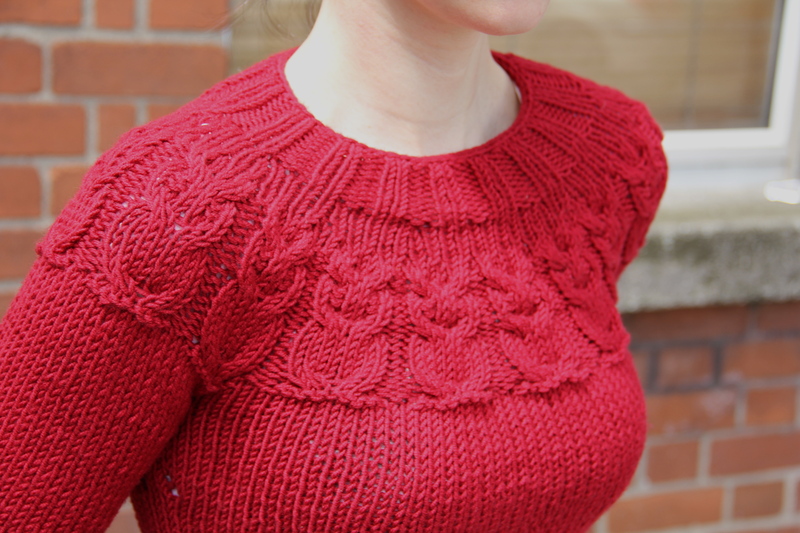 It makes for a really cosy – albeit seasonally inappropriate – sweater! I also decided, like fellow knitalonger Charlotte, not to sew on the button eyes as I prefer these little guys without them. Buoyed by the success of this, my first finished knitted garment, I’ve already launched into a new project: the Panelled Effect Lady’s Jumper from Jane Waller and Susan Crawford’s book, A Stitch in Time. The pattern requires a bit of concentration but is not so complicated that a novice knitter can’t manage it. 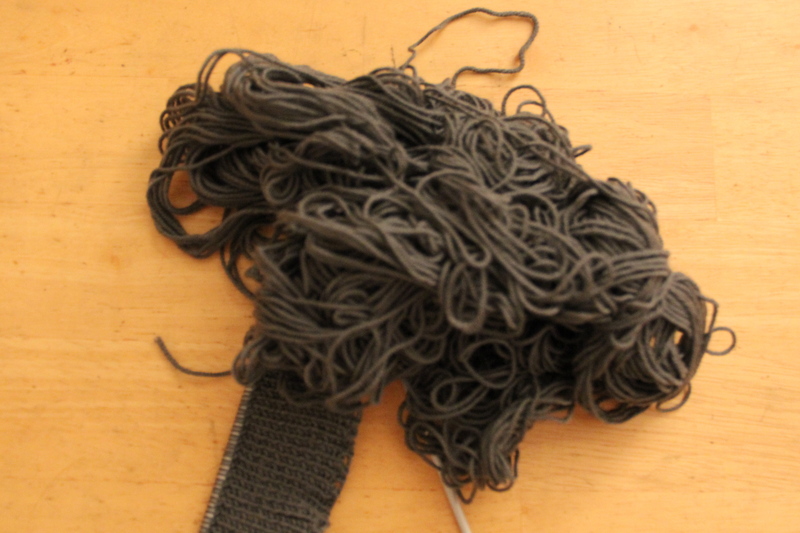 I’m using another Debbie Bliss yarn – a 4-ply in a steel grey colour. 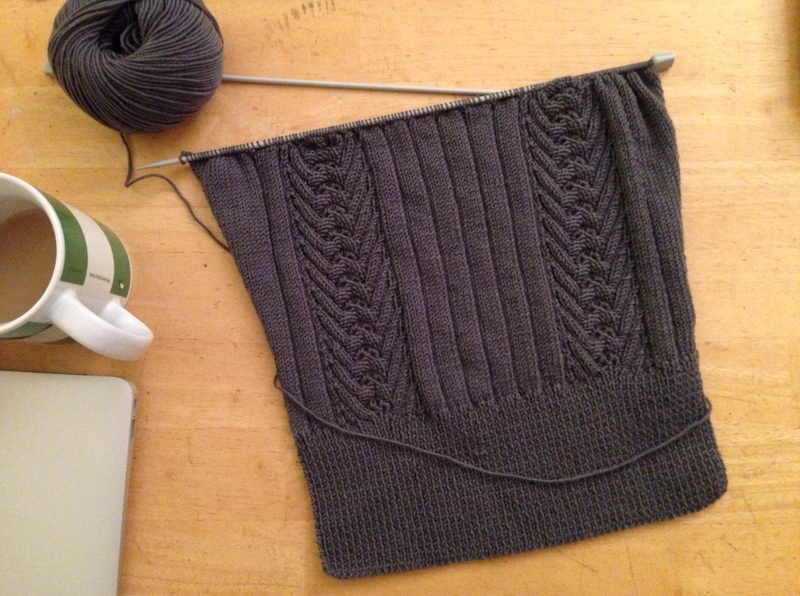 So I’m working on this 1940s knitted tunic at the moment. Hiding it from the cat so she doesn’t assault it when I’m not looking is proving quite the challenge. She can sniff out wool anywhere in the house – and has figured out how to unzip my knitting bag. In other (better) news, the pattern is really easy to work with and the Debbie Bliss 4-ply yarn knits up well with a lovely finish! 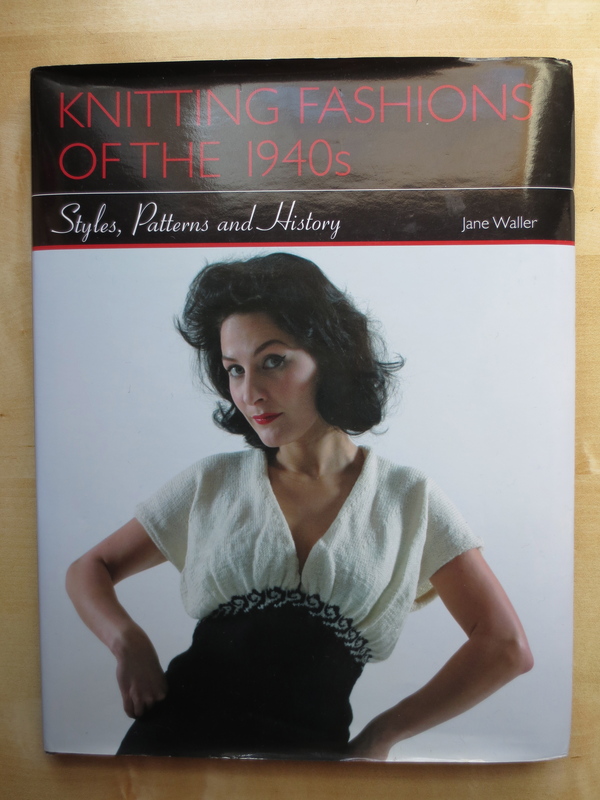 Several years ago, I came across a lovely book on sale on Amazon called Knitting Fashions of the 1940s by Jane Waller. The book has a great selection of patterns, but I found it quite hard for a beginner knitter to use given the limited sizing ranges (a more seasoned knitter would likely make the necessary adjustments without much hassle). I recently picked it back up again and am determined to see at least one project through! Jane Waller’s lovely 1940s knitting pattern book. 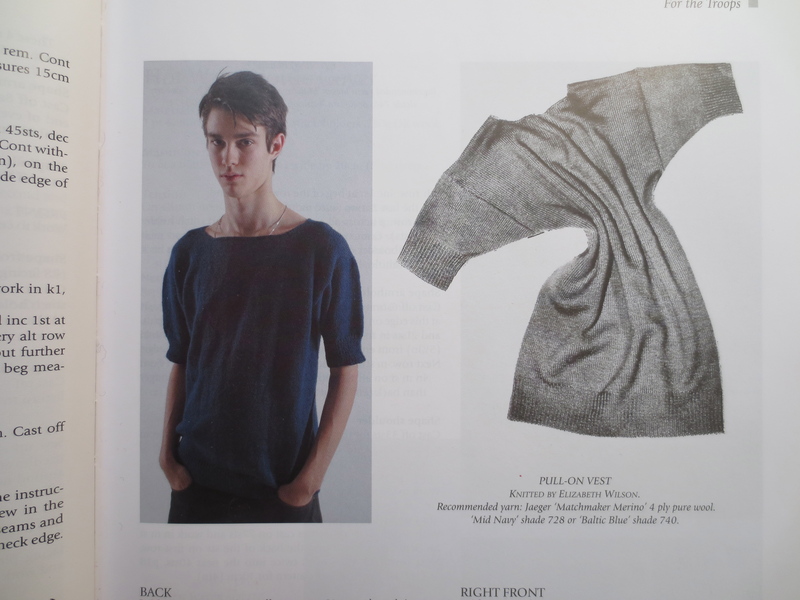 The ‘pull-on vest’ pattern from Jane Waller’s book. The only downside is that I’m working with a 4-ply wool and that stuff takes an age to knit up (I’m using a stone grey from the Debbie Bliss Rialto 4-ply range). 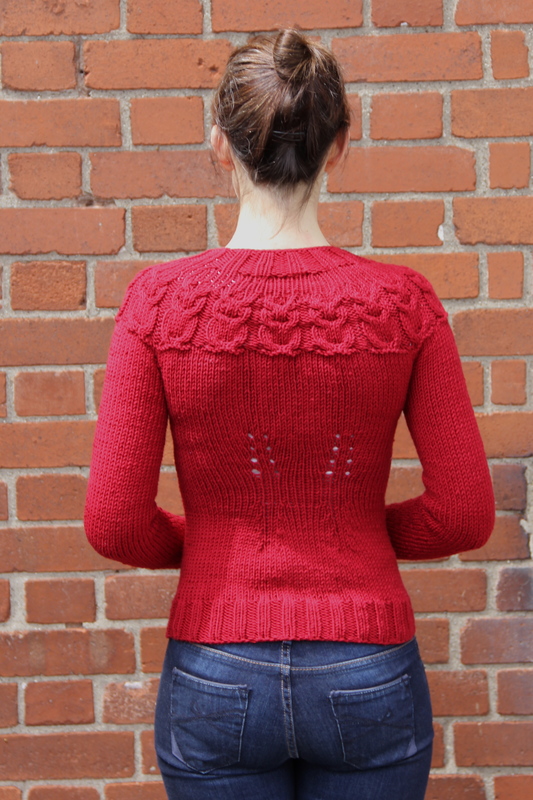 After about a fortnight I’m almost finished the back section, though, and the front follows exactly the same pattern so I’m pretty optimistic that I’ll manage to get through it without too much stress (and before the end of the year!). I’ll post details of the fit and finish (the pattern is presented in just one size) once I’ve completed it.